One of the biggest challenges set to face Britain’s over burdened care industry will be to maintain a clean and pleasant environment. 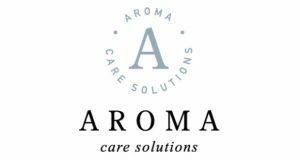 That is the view of Aroma Care Solutions, specialists in home and personal care products specifically designed for the caring industry. The company believes that apart from the sheer logistics of ensuring that the necessary care resource is in place to cope with the event increasing demand, that the day to day challenges of meeting required standards in care homes alone as those imposed by the Care Quality Commission will be overwhelming. News recently broke that more than one million people aged 65 or over will need round-the-clock care by 2035, England’s care industry is at crisis point. The study, by Newcastle University and the London School of Economics, warned that the number of over 85s requiring 24-hour care will almost double to 446,000 over the next 20 years, and that continuing to rely on unpaid carers – who save the economy an estimated £57 billion a year – is unsustainable. Further, figures from Carers Trust show there are some seven million carers in the UK – and this figure is rising sharply. They also show that three in five people in the UK will find themselves caring for a loved one at some point in their lives. Most carers fall into their role by default. As their loved ones grow older or weaker, or develop health problems, carers find themselves devoting more and more time to ensure they are well looked after and as happy and healthy as possible. It is a subject close to the heart of Julie Foster, co-founder of Aroma Care Solutions. She found herself in the role of carer for a close relative, she surprised at the lack of products on the market to help make life easier for carers as they look after their loved ones and keep their homes clean and tidy. It’s a well-known fact that as people grow older develop an illness, it becomes harder to control bodily functions. Julie felt not enough was being done to help carers as they oversaw the personal care of their loved ones and, indeed, their surroundings. Indeed, it was when Julie spoke of her own experience to London businessman Quentin Steele that Aroma Care Solutions was born. Focusing on a range of skincare solutions, as well as homecare, Aroma Care Solutions is the product of decades of experience. Quentin had worked within the cleaning industry for over 30 years while Julie herself – as well as first hand experience as a full-time carer – is an expert aromatherapist, perfumer and product designer. Together the pair have created a bespoke range of products specifically designed to help carers in the management of household odours and personal hygiene. Julie commented: “All our products are born out of my own experience in my time as carer. Apart from the day to day pressures of caring for someone who is terminally ill, one of the biggest challenges I had was to maintain an acceptable living environment. “What was instantly apparent was the lack of products on the market which failed to meet the needs of the carer in terms of providing a practical solution for keeping the home clean, and also the person being cared for, in terms of providing a little luxury and helping them to maintain their dignity.